As we grow our little farm, we consider each addition to the farm family carefully. We are looking for animals that are not just for fun or companionship, like a dog, cat or other house pet might be; but for practical livestock that will have a benefit around the farm. 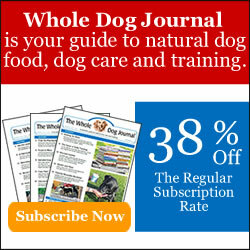 We are working towards a more natural lifestyle for ourselves and our pets. Adding chickens will bring us fresh eggs, which will benefit both human and dog; not only for our own consumption but we can make money selling the eggs. Did you know that eggs are one of the best sources of protein available? I feel better knowing we will be eating eggs from happy free range chickens that have not been exposed to any chemicals or antibiotics. It turns out chickens are fun as well, and that’s a benefit I didn’t anticipate! They even provide companionship as they run to greet us when we get home, and follow us around the yard at times when we’re doing our chores. The guinea fowl we recently added will have a job to do, as well as providing some fun and entertainment like the chickens. Companionship, probably not so much, but more on that in a bit. They are starting to get full run of the coop at times, and we’ve learned they can fly up to the roosting bars quite well! The #1 benefit the guinea fowl will provide will be the eradication of ticks and other insects around our property. The chickens eat insects as well, but guineas are said to be relentless in their pursuit of ticks, and I’m guessing they might be one of the best all-natural tick controllers out there. If they are as good at it as I’ve read, I doubt we’ll need to spray our yard with cedar oil anymore. They will also eat ants, which we have way too many of around here, and garden insects as well – another area where I am always looking for all-natural controls. Again, that’s something chickens can do as well, but I’ve heard they can be a bit rougher on garden plants than the guineas will be (and I’ve seen their handiwork). The chickens did a number on some of my hosta lilies! What other benefits will guinea hens provide us? Predator alarm: while they may not scare off all predators, they will at least sound a warning when something strange enters the yard. They’ll provide a bit of a break for our #1 watch dog Luke, I think. They will, however, chase off smaller creatures such as snakes and rodents. Some have even said they’ll kill the snakes, but that’s up for debate. We watched the chickens one day when they saw a snake. They surrounded it, squawking away, apparently wondering what it was. We were seeing a lot of snakes around that time, but I haven’t seen one lately, so I wonder if even the chickens will deter the snakes from coming around. We also found a dead mole over in an area where they hang out, so hubby is pretty convinced they killed it. If the guineas can do even better than that, we’ll be thrilled! Breeding – We had trouble finding guinea keets (babies) when we started looking. There may be a need for more in our area, and we might be able to bring in some extra income by hatching their eggs and selling the babies ourselves. Eggs – Guinea eggs are said to be just as tasty as chicken eggs, though they are a bit smaller. Guineas can also be used for their meat, but I highly doubt we’ll ever find out how that is! We do not intend to eat any of our birds at this point. They all have names, so there’s no way we’re eating any of them! 3rd from right, is Pumpkin, a “pied” color – my favorite with the stripe on the head! Guinea fowl originated in Africa, and they are a bit wilder than chickens. Because they are not bred as much as chickens for showing or consumption, guineas have stayed far more disease free than them. They are much happier free ranging, though they might create a few more challenges that way than the chickens do (such as getting them in the coop at night). By the way, the terms “guinea fowl” and “guinea hen” seem to be used interchangeably, though I think of hens as females, as in chickens. We do not know if our keets are male or female. Supposedly when they get older we’ll be able to differentiate between them by their call. This is what the guinea will look like when they’re full grown. This color here, called “pearl gray” is the most common. Guinea hens will usually make their nests and lay their eggs somewhere off in the woods (we’ll be having lots of “Easter egg” hunts here I think!). They will stay with the nest guarding and then hatching their eggs, but apparently after that they lose interest in raising their little ones. If we decide to sell keets, we will need to either collect the eggs early and hatch them ourselves in an incubator, or collect the little ones after birth and get them into a brooder. I’m leaning towards the incubator plan at this point, and I’ll tell you why. Those little suckers are hard to catch! When we got our six, they were in a brooder with probably about 50 others. Every time we reached in to get one, they all ran together from one end of that tub to another. I told you the story previously of me chasing one around the coop when it escaped. Well, later on we had two more escapees, and these actually got out of the coop. We caught one fairly quickly but when I was putting that one back in the cage, another got out and quickly escaped the coop (now coop gets closed when we’re doing anything with them inside). We were in pursuit when one of the chickens decided to get involved and chased the keet across the yard! (I’ve observed that chickens like to chase things, including smaller birds). The escapee, our one lavender guinea, now named “Houdini”. This little one dove into the thick vegetation of my flower garden. These little birds, who are generally quite noisy, can go completely silent when they want to hide. That one spent the night in my flower garden, because we could never find it. The next morning it came out and hubby managed to chase it into our garage, where it spent the day while we were at work, mournfully crying over being separated from the others. Later that day we finally found it in a trash can of all places, but at least that made it easy to finally get a hold of it! Left to right: Betty, white, Harriet, pearl gray, Houdini hiding underneath, Veronica, white, Pumpkin, and Henrietta, pearl gray. Names subject to change if we find out they’re males! These guys (or girls) don’t really seem to like humans much. They run to the back of their cage when we reach in and pile on top of each other in a panic. Part of this may be because we got them at 2 weeks of age and they hadn’t been handled much. In the future, I would have them at day one and handle them daily to see if that helped some. The video below shows what they do whenever I am cleaning their cage and filling their food and water. When we picked them up initially, they chirped for half the way home and then went silent. They are definitely pack creatures and I think being taken away from the rest of their pack was stressful for them. When we got them home and into their cage, they ran to the corner, piled on top of each other, and didn’t move. Honestly, I thought they were sick. They wouldn’t go to their food and water, and were barely moving. I was convinced when I got up the next morning one or more of them would be dead. But as it turns out, they did venture out of their pile, but only when we weren’t there. Marching across one of the roosting boards in the coop. These guinea fowl are fun to watch and listen to, and I can’t wait to see how they are when they grow up and march around the yard in defense of our property. It’s kind of hard for us to believe that they will defend anything, as timid as they seem; but we completely believe they’ll sound an alarm at anything new that comes into their territory. I’m doubting they’ll ever let us pick them up happily (even the chickens put up a fuss about it, but they let you), but I have a feeling they are going to earn their keep in many other ways. Boy, I sure hope they eat the ticks! Ticks have been so bad this year. Sorry I’ve been behind, so if you’ve answered this my apologies, but how do you keep them in your yard and do you have to keep them enclosed at night? I think the chickens are eating the ticks too. The guineas aren’t out yet, and we’ve had less (though they always get better in the summer too – we’ll know for sure in the fall). We do our best to keep them in our yard, but we have had to get them out of the road a couple of times (it’s a dead end dirt road though so not a ton of traffic). We have plenty of land for them to wander on so they don’t need to go near the road! But they are only out when we’re mostly home to watch them too. They get closed in the coop at night – they will go in on their own when it gets late enough – right around dusk. I think the other option is to keep them as pets, but that could get expensive too, since I think they can live quite a few years, but they stop laying after just a couple (that goes for chickens actually, I’m not as sure about the guineas). Oh my goodness, those chickens really did do a number on your hosta. Hopefully the guineas will be kinder and gentler in their pursuit of insects. Can’t wait to see photos of them all grown up. I sure hope they are! Luckily the chickens don’t bother the hostas in my flower gardens quite so much, mostly just those by the garage. They’ve started heading down to my veggie garden and blueberry bushes lately too though. Hubby is not happy because he now has another job – fencing off the gardens! The guineas will be able to fly over (so hopefully they are much gentler and only go for bugs) but chickens don’t fly quite as well. This was a great post! I just love Guinea Hens, I used to have a nice flock then they all died. I only once had some hatch out and then the heavy rains killed them. I love their alarm squawk and they do chase rats away as I used to have rats and then they moved to my brother in laws house and they couldn’t stand the Guinea Hen sound. I’m excited to have some again. I too have never eaten them or even ate their eggs. I think they are so cool to look at. What an adventure! I’ve found it interesting that my neighbor’s rooster calls out whenever I ride my bike by. I think of him as a “guard rooster”! It’ll be interesting to see how the guinea fowl fit in 🙂 Keep us posted. That was very interesting. I know nothing of guineas but they are lovely. It would be neat to be able to hatch some and handle them to see if it makes them more human-friendly. Anything that eats ticks is awesome! The devotional guide “The Upper Room” had a meditation for today that gave some information about guinea fowl ! Who knew that guinea fowl could be so beneficial? Just getting rid of ticks would be worth having them. Nice post. I liked the post. Didn’t see a place to like your post but wanted you to know I enjoyed the post. I think you’ll be pleased with the guinea hens’ protective nature. My grandparents had chickens and guinea hens when I was a little kid. When I was around 4 my uncle (who was around 10) locked me in the chicken coop. Those guinea fowl were especially scary! They would aggressively fly towards anyone who entered the chicken coop. I certainly don’t blame you! Right now the guineas do everything they can to just stay away from us, but I don’t know if that could change when they get older. I’ll keep you posted on how the guineas act as they get older! They are really growing up so fast. WOW! I think they will be giving you lots of wntertainment…and exercise too! Guinea fowl are quite the bird. My mom and her hubby had about 6 when they had their little hobby farm. My youngest son, about 12 at the time, was challenged by Wayne to catch one. Amazingly, he did. Whew, your son must have been fast! We’ve only been able to catch them in an enclosed area, and that was definitely not easy! OMG!! I NEVER knew all of this and all of the benefits that they provide! This was such a great post, thank you so much for all of this info. It was so interesting! I’m so glad you found it interesting, Caren! I feel a little weird going out of the cat/dog zone but so far it seems to be getting good response. I figure many of us just love animals of all kinds! You are kind of starting a bird farm! They are interesting looking. Things are going well! I’ve been a bit overwhelmed at times, but they are just more work when they’re young – I think things will settle down when everyone is grown up! Hee hee….I’ve heard them screaming when I’ve picked them up, and I imagine it only gets louder as they get bigger! The first time I heard of guineas was at our old house when I heard strange noises coming from across the street. Turns out it was guineas, but we were far enough away it didn’t bother us.